FinTech Forward is published every November and is a collaboration between American Banker and BAI. This initiative includes the annual rankings of tech vendors in the financial industry. It also focuses on identifying fintech trends of interest to bankers. 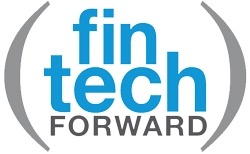 FinTech Forward is considered the most comprehensive ranking of companies that serve the global financial industry. William Mills Agency is the agency of record for FinTech Forward and serves as an integral part of the team. William Mills Agency promotes the initiative to financial technology vendors world-wide and provides strategic public relations counsel for participating companies. Additionally, the agency develops tools to promote the program and raise visibility through social media channels. William Mills Agency provides an important link between the program sponsors and the ranked companies. The agency helps the companies make the most of their inclusion. Inclusion in the FinTech Forward list is a notable achievement and a reflection on the company’s importance within the global financial industry. William Mills Agency considers it a privilege to work with American Banker and BAI on this prestigious ranking.